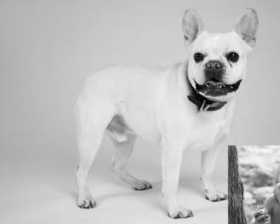 White / cream french bulldog with a white triangle on his forehead. Goes by prince. Also has a scar on his side. Is very friendly and loved by his two human brothers. Please contact me if you hear or see anything.